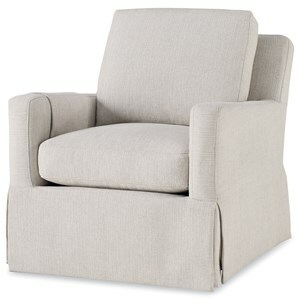 Aubrey Accent Chair by Wittman & Co.
Upholstered Accents Aubrey Accent Chair by Wittman & Co. 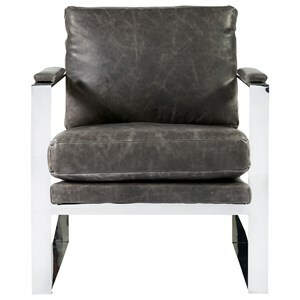 This accent chair boasts a sleek and sophisticated silhouette and touchable velvet upholstery. 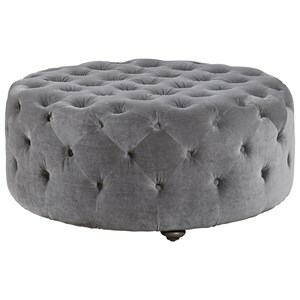 The soft gray coloration and classic shape make this a versatile accent piece to mix and match for the living room of your dreams. The Upholstered Accents Aubrey Accent Chair by Wittman & Co. at Morris Home in the Dayton, Cincinnati, Columbus, Ohio, Northern Kentucky area. Product availability may vary. Contact us for the most current availability on this product. 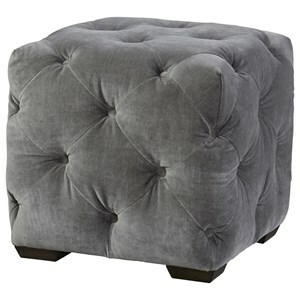 The Upholstered Accents collection is a great option if you are looking for Transitional Contemporary furniture in the Dayton, Cincinnati, Columbus, Ohio, Northern Kentucky area.